My recent order was delivered promptly. The matched pair of Tung-Sols was well packaged. I replaced the PS caps in my 90's era Carvin X60 and installed the new Tung-Sols.. Everything sounds great! I have been purchasing tubes from Antique Electronic Supply for years and have been 100% satisfied. I've used many types, brands. The Tung Sol 6L6GC are so much more clear and sweet than the others that I've had. It's a different plate design than the Mesa's Groove Tube, Fender,and I like em so much that they now in my Vibroverb and Twin. I installed a pair of these in my Fender Supersonic and it sounds great. Nice bell like tone. Asked by Anonymous on April 11th, 2016. The Tung-Sol 6L6's are a warm sounding tube and have a nice creamy overdrive tone. 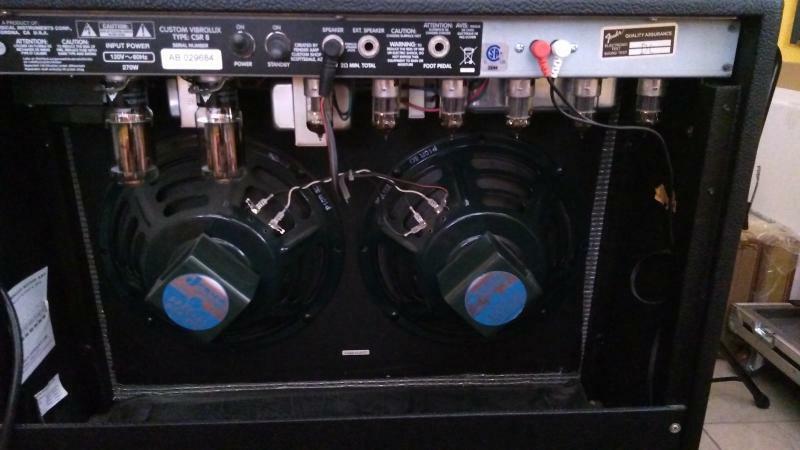 If your amp uses 6L6 tubes for power these should be a great upgrade/replacement. Asked by Anonymous on December 29th, 2016. Yes, in the notes section of the checkout process you can specify low, medium, or high settings. Regarding advantages and disadvantages, the higher the number the higher the headroom. Asked by Anonymous on October 5th, 2017. This tube has a plate voltage of 500V.